NHS patients in the UK are to be told their chances of a "harm-free" hospital visit and having specific doctor and nurse allocated to be directly responsible for their care and treatment will improve. The health secretary Jeremy Hunt has said that these are part of the changes which will be implemented to avoid the recent scandals in the Staffordshire and Morecambe Bay hospitals being repeated. Mr Hunt has admitted that the NHS needs to do more to combat the “silent scandal” of mistakes in treatment, including around 3,000 deaths a year which could have been avoided. Mr Hunt has highlighted steps which will aim to improve the safety of hospitals and make it clear who is responsible for an individual's well being and care. It is also hoped the moves will create more transparency in the standards of the healthcare system. These strategic steps will include making statistics available on the likelihood of a “harm-free patient experience” for every hospital, requiring that the name of a consultant and nurse who is responsible for the patient is posted above their bed and ensuring that everyone in the NHS is working towards improving standards of safety. 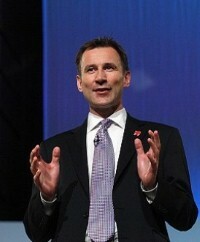 In a speech at University College London Hospitals, Mr Hunt said the NHS has best safety record of any health system but that it has become "so numbed to the inevitability of patient harm that we accept the unacceptable" and therefore called for a change in the wider culture as well as in the NHS as an institution. He said that every year 3,000 patients die because of "failures in our efforts” and half a million are harmed unnecessarily. Mr Hunt also highlighted more than 300 "never events" which were incidents deemed so serious that they should never be repeated. These include more than 150 incidents of surgical implements being left inside bodies and 70 where the wrong body part or patient was operated on.